Keep your Business Synchronized, and Product Flow Efficient. SolutionDots System presents you with a unique event management system. 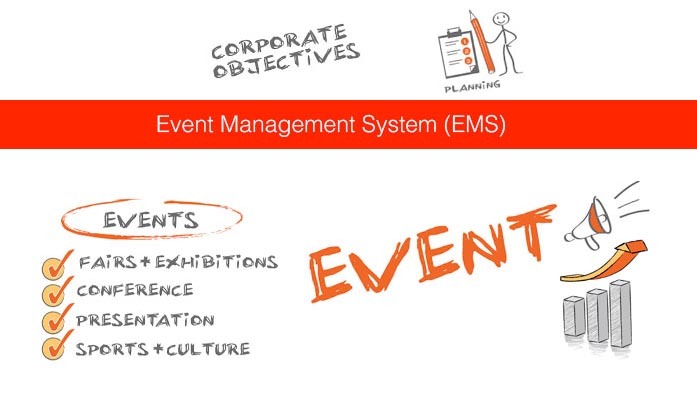 Our system is specially designed to help the event manager to tackle multiple events at one time. It gets hard to organize and memorize every event detail at the same time. Our software is a magical tool for keeping all your records organized. It’s an essential tool to help you organize conferences, events and meetings of companies or education departments. Our web based enterprise event management software let small businesses to run their plans in a successful way. Software enables organizations to maintain a 360-degree profile of participants, helps to online assign tasks related to event execution and also let the event manager to keep track of employee activities. Event Registration Software: Let your organization do online proposal sending and registration. Registration proposals are sent to the participants which are finalized and verified by the organization. A link is also inserted in the registration email about the event page with an agenda outline. Registers every customer with its details and authentications. Event Booking System: Every event has multiple statuses based on the demands of customer organizations. Books the event details according to the requirements of the event, maintains event-specific details like proposed dates, budgets, expenses, and associated participants. Helps to do online transactions for booking fees. Event Planning Software: Provides proposals and possibilities for planning an event. Maintain lists of venues, contacts for venue booking, rooms, and halls availability etc. Venue data in the software allows event planning teams to keep look at venue options, link planned sessions, outline activities, design the overall structure of the event and send booking emails.